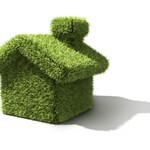 A survey published by the Guardian has revealed that upfront assessment fees may discourage homeowners from ordering work designed to improve domestic energy efficiency under the Green Deal. The Guardian attempted to source quotes for cavity wall insulation, loft insulation and other green jobs from the 24 firms listed by government as domestic assessors. The news service was able to contact 18 companies, five of which currently charge up to £150 for an initial home assessment. One firm does not charge for the assessment, whilst eleven others would not be drawn on cost. Curiously, one of the government-listed assessors provided no kind of home assessment at all. The findings contradict a statement made last year by Minister of State for Energy and Climate Change Greg Barker, who wrote that the Green Deal would facilitate the upgrading of “draughty homes at no upfront cost”. Audrey Gallacher, Energy Director at Consumer Focus, argued that an upfront fee plus interest rates would be enough to dissuade many homeowners from investing in the scheme. Ms Gallacher said: “Previous schemes have struggled to meet targets to give insulation away for free, so it will be a challenge to expect people to go out and secure finance. Nobody could argue with the good intentions of the Green Deal, but practically it will probably face quite a few difficulties”. A spokesperson for the Department of Energy and Climate Change (DECC) said: “Far from being put off, the Green Deal customer is in charge. “As Green Deal plans become available in January, it is likely that some providers will offer free assessments as a way to attract customers, while others may charge for it initially and reimburse it as part of a Green Deal”.